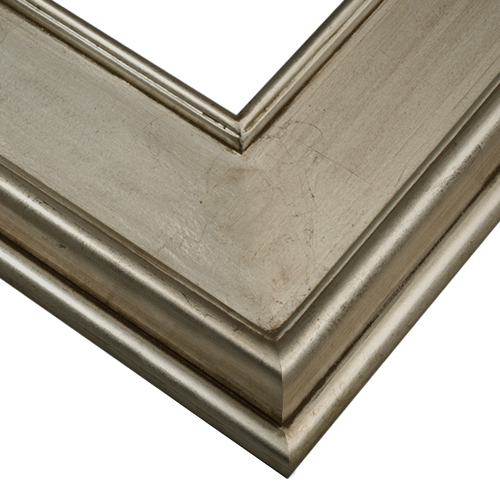 This is a very well made frame in a warm silver tone. It has a nice slightly antiqued quality to it that goes well with many warm or cool toned paintings. 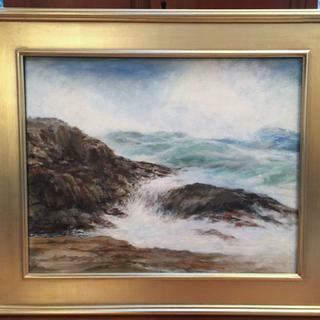 I was looking for a wider, two-toned (silver/gold) frame for my 16x20 and larger paintings. This one is a very good choice for the money. It looks more silver in some light, and more subtle gold in another light. It is just what I was looking for---not too silver, and not too gold! It was shipped very promptly, and packed extremely well. I will buy again. 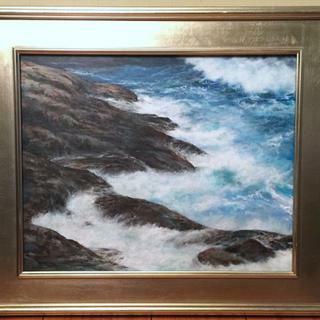 This beautiful frame was a pergect choice for my small seascape. Would buy again. Wonderful neutral color and high-quality workmanship. I have used this plein air frame several times. I find it enhances the pastel no matter what the subject matter. It's traditional and timeless but I'm not going to be worrying about it looking dated in 10 years. Also I have a contemporary house filled with modern art and antique furniture, and this style is sufficiently transitional to bridge the gap. Goes well with landscape painting. Excellent quality and reasonable prices. Also I like the care they put into the packaging. Can this be propped up on a desk? Or does it have to be hung on a wall? BEST ANSWER: Hello Sara. Thank you for your inquiry. These beautiful frames are designed to hang on the wall. If you would like to use an easel back on the frame, we have easels in sizes 5x5, 5x7, 8x10, 8x8, 4x6, 8x10, and 8 1/2x11. These are the only sizes we have for our easel backs. If you need any additional assistance, please let us know. Have a great day!